OXFORD, Miss. 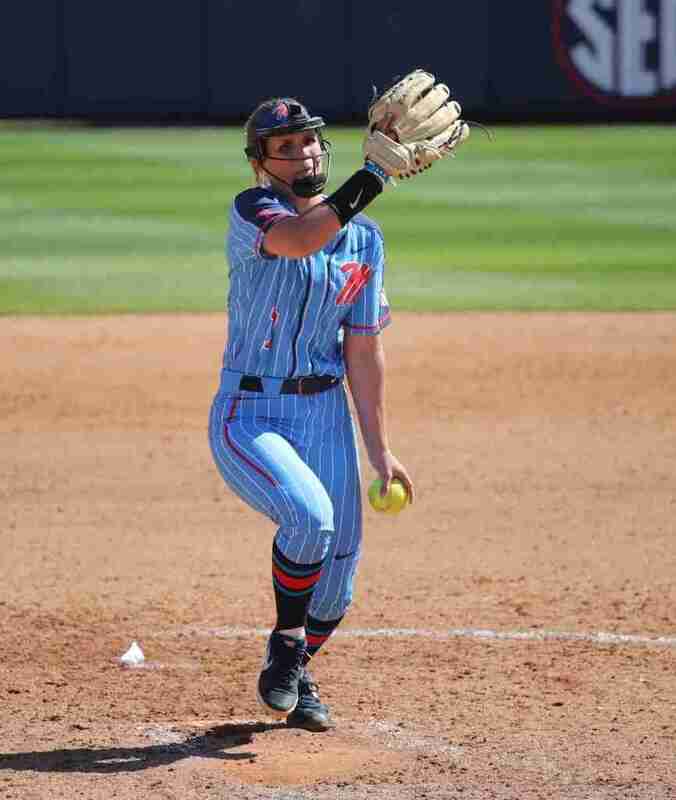 – For fans who are enamored with great pitching, the Ole Miss Softball Complex is the place to be this weekend. Florida comes to town and the Gators have one of the top pitchers in the nation in Kelly Barnhill. 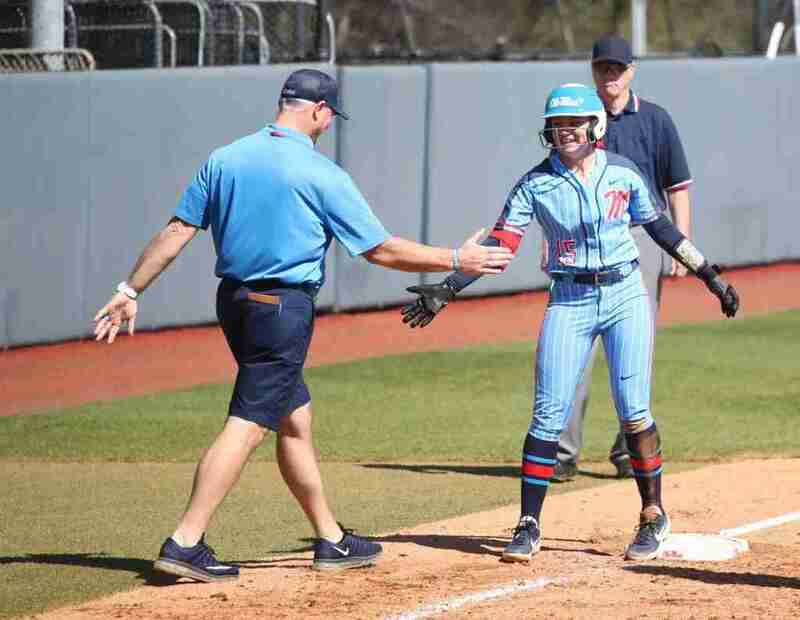 But waiting for her and the Gators in Oxford is the Rebels’ Molly Jacobsen who is posting lofty statistics of her own. The Gators are ranked seventh in the latest ESPN.com/USA Softball Collegiate Top 25, while Ole Miss checks in at 22nd in the current rankings. A top-25 matchup in the Southeastern Conference between Florida (28-6, 2-4 in the SEC) and the Rebels (22-8, 3-2) indicates an interesting three-game set. For Florida, Barnhill is leading the nation in opponents’ batting average, holding hitters to a .140 mark. Her 18 wins leads the SEC and ranks third in the NCAA. She also is third in the conference with a 1.22 earned run average, first in the league with 167 strikeouts, and tied for second with three saves. All that success has come in just 109 innings pitched. The Gators’ Natalie Lugo complements Barnhill with a 7-3 record, a 1.88 ERA and 80 strikeouts in only 59 2/3 innings. Each pitcher has benefited from a stellar Gator defense. Florida leads the nation with a 0.989 fielding percentage while committing just nine errors on the season. Not to be outdone, however, Ole Miss’ Jacobsen leads the conference with a 1.04 ERA. The junior is 10-1 and has struck out 76 batters in 74 innings. Senior Brittany Finney has also joined in on the strikeout fun for the Rebels, having fanned 61 hitters in 66 innings. As a staff, the Rebels lead the conference in earned run average at 1.79. That ranking is helped by the defense of catcher Autumn Gillespie. She is tied for the conference lead with three pickoffs and has mowed down nine runners trying to steal. Senior Amanda Lorenz leads the Gators at the plate with a .419 average. She also has ripped six doubles, a triple and eight home runs to contribute to her 28 runs batted in. Lorenz is also tied for fourth in the SEC by drawing 29 walks. Catcher Kendyl Lindaman is hitting .370 with a pair of doubles, a triple, and ten homers. Her 34 RBI leads the team. Sophomore Hannah Adams has chipped in a .341 average with seven doubles, a triple, and two home runs. The Gators have also benefitted by getting hit by pitches. Florida has been hit 47 times, with junior shortstop Sophia Reynoso reaching base 15 times after being hit, the second most in the SEC. Senior Kylan Becker has been hitting the ball all season, tallying a team-high .473 average with a pair of doubles, six triples, and a home run. She ranks fourth in the NCAA in triples per game. Abbey Latham leads the team with 26 runs batted in to go with her .361 average, seven doubles and four homers. Freshman Tate Whitley is hitting .348. The power has come from Jessica Puk and Finney who have hit seven and six home runs, respectively. Helping the offense is the Rebels’ aggressiveness on the bases. 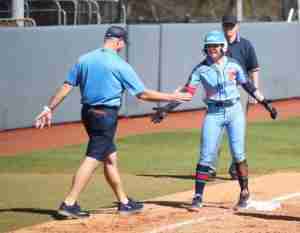 Ole Miss has swiped 71-of-89 bases this season, led by Becker’s 18 which ranks her third in the league. Kaylee Horton’s 14 steals has her tied for fourth in the SEC. STREAKING: Each team is coming in on a winning streak. The Gators have won four straight after beating Bethune-Cookman, 15-0, Wednesday in a combined one-hitter. Ole Miss has a one-game winning streak after having an unusual three-game split at South Carolina last week. The Gamecocks took game one of the series, with the Rebs winning game two before Mother Nature arrived to claim game three to herself with a rainout. SUCCESS AT HOME AND ON THE ROAD: Florida has not been intimidated away from Gainesville so far this season, posting a 4-2 mark. Ole Miss enjoys being in Oxford with a 12-1 record at home. WE DO NOT LOVE L.A.: Ole Miss and Florida have one common opponent this season, top-ranked UCLA. Not only did both teams lose to the Bruins, neither scored. UCLA beat Florida, 4-0, and then topped the Rebels, 2-0. LED BY THE PROS: Not only have Ole Miss coach Mike Smith and Gator coach Tim Walton enjoyed success as softball coaches, they were pretty good as baseball players. After college, Smith spent time in the St. Louis Cardinals’ organization while Walton was in the minor league system of the Philadelphia Phillies. SUNSHINE STATE REBELS: Three Ole Miss players hail from the Sunshine State. Becker and sophomore Ally Mena are from Miami, while senior Izzy Werdann played at perennial Florida power Tate High, just north of Pensacola. SCHEDULE CHANGE: With thunderstorms forecasted in Oxford late Saturday afternoon, Ole Miss’ Saturday showdown with No. 6 Florida has been moved to a 1 p.m. CT start time from its originally scheduled 4 p.m. first pitch. Friday’s game remains at its 6 p.m. start time, while Sunday’s game is set for first pitch at noon. 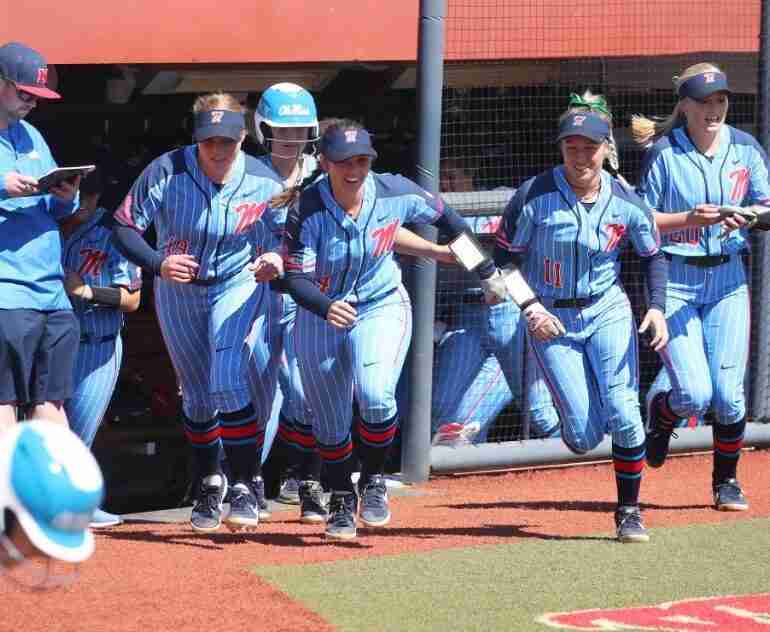 NEXT FOR THE REBELS: Ole Miss travels to Nashville Tuesday, April 2, to take on Belmont before continuing north to Lexington for a three-game series at Kentucky next weekend.